Each program entry provides a wealth of details in one collected resource, enabling prospective graduate students to make informed choices. The directories are a key professional reference for career-services representatives, department chairs, graduate and undergraduate advisors, librarians, professional-practices educators, and professors helping an emerging generation of artists and scholars find success. 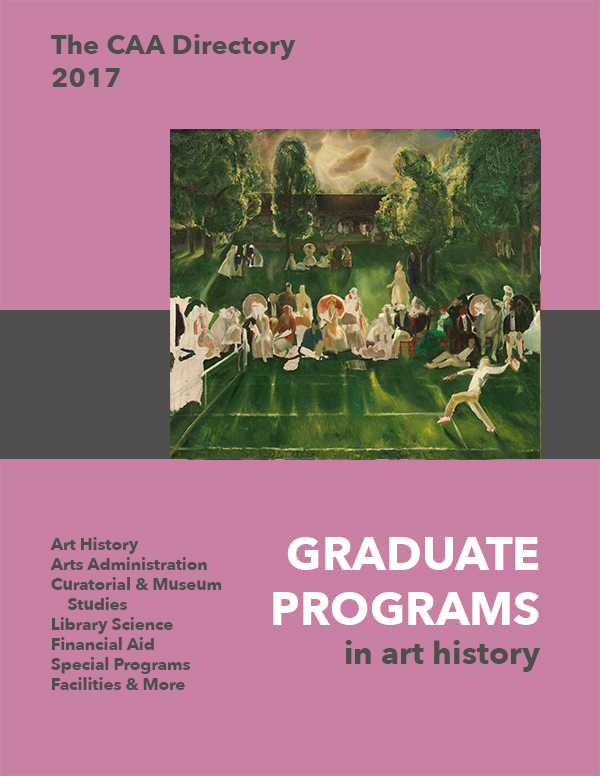 Graduate Programs in Art History: The CAA Directory contains graduate programs in art and architectural history, arts administration, curatorial and museum studies, and library science. Organized alphabetically by institution name, entries describe curricula, class size, faculty specializations, admission and degree requirements, library facilities, opportunities for fellowships and assistantships, financial aid information, housing and health insurance availability, and more. Geographic and alphabetical indexes are included. 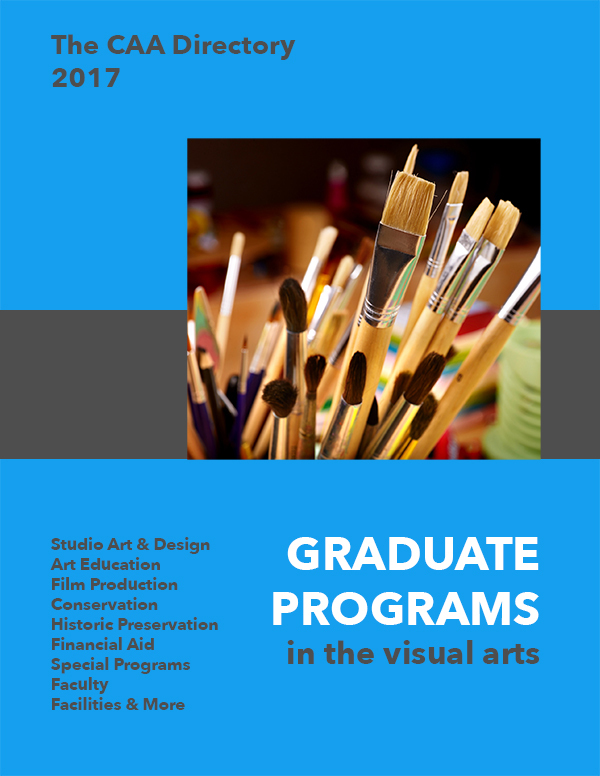 Graduate Programs in the Visual Arts: The CAA Directory includes graduate programs in studio art and design (including digital media, object design, and other forms), art education, conservation and historic preservation, and film production. Organized similarly to Graduate Programs in Art History, this volume also provides information about studio facilities, including health and safety information. Both directories can be downloaded and searched by keyword for free. Download the 2017 directories by clicking on the image covers below. CAA will publish these directories online biennially (every two years). The next version will be in 2019. For archived editions of the Directories, contact Daniel Tsai, publications and programs administrator.